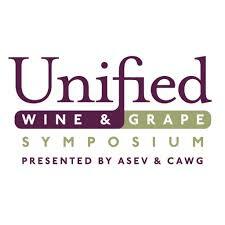 Unified Wine & Grape Symposium Jan. 27th-28th 2016 « Western States Machinery Corp.
Western States Machinery will be working with the amazing team from McBrady Engineering at booth #434 at Unified Wine & Grape on Jan. 27th-28th. The event will take place at the Sacramento Convention Center in Sacramento, CA. McBrady Engineering’s manufacturing ability of over 30,000 sq. feet is capable of handling all current manufacturing needs as well as having the facilities for further future growth. For decades, McBrady Engineering has produced the very finest bottle cleaning and washing equipment; Western States Machinery is proud to work with them and contribute to their growth and success. Having sold more than 1,800 cleaners for various applications in the food and beverage, pharmaceutical, personal products and chemical industries, McBrady Engineering has successfully established a reputation as the leading innovator in the container cleaning industry. 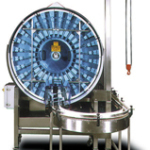 McBrady Engineering strives to manufacture the best container cleaning equipment of the highest standard. By adhering to strict manufacturing and customer service policies, McBrady Engineering is able to meet/exceed all of our customers’ needs and expectations. Click on this link for more information, cheers!